During Saturday night, before our eighteen-mile hike, there had been a downpour such as no pedestrian would want to get caught in. It rained in buckets. The forecast called for more of the same on Sunday. Karen and I deliberated, and with the hope that we would reach our camp before the rain set in, we decided to go as planned. 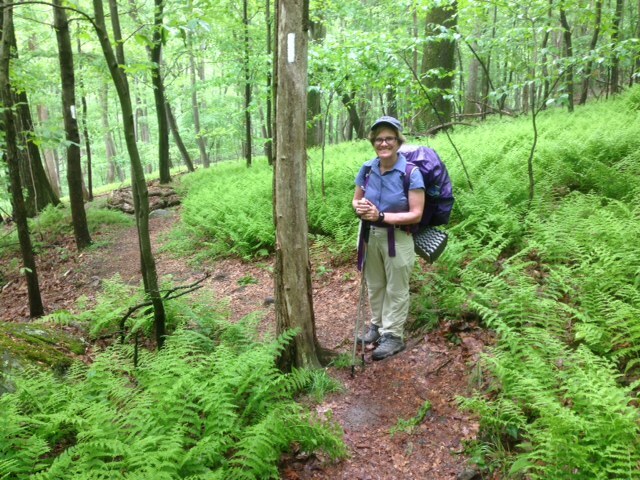 As it turned out, the forecast was wrong, and–throughout Sunday, though we kept rain covers on our backpacks and our wet weather gear accessible–we only got a few drops during our two days on the Appalachian Trail. We started out at Pen Mar, on the Maryland/Pennsylvania border. 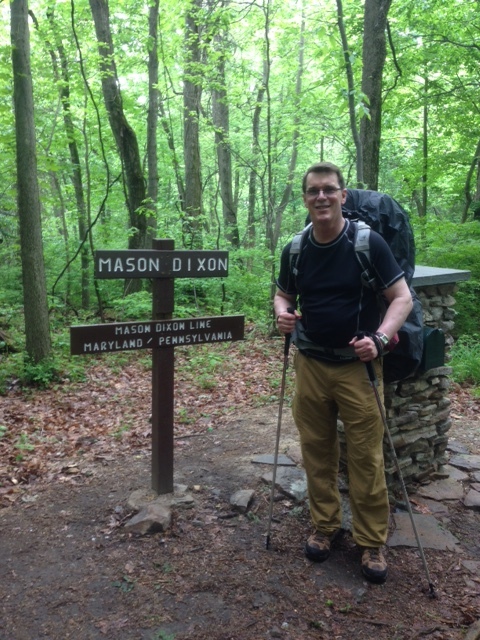 Hardly had we begun, when we crossed the Mason-Dixon line. The air was warm and humid during the morning, and Karen and I were soon drenched in our own sweat. By noon the humidity had dropped. 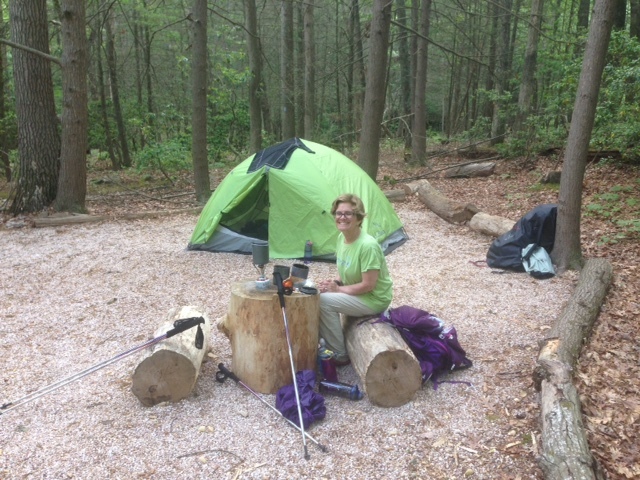 We stopped for lunch at Deer Lick Run Shelters and met a couple of thru-hikers. One had made it so far, last year, as Deer Lick Run; then his visa expired. So, with his pass renewed, he was picking up where he left off. A couple of hours later we reached Antietam Creek. It was an idyllic setting, spread out among the trees, with the creek running through the middle of Antietam camp. There, where the trail makes a 90-degree turn, we ran into a group of hikers assembled around a water faucet, where cold, clean water is available year-round. Karen and I refreshed our water supply, I filled up our dromedary, and we set off again toward our camp, which was a mile further north, at Tumbling Run. 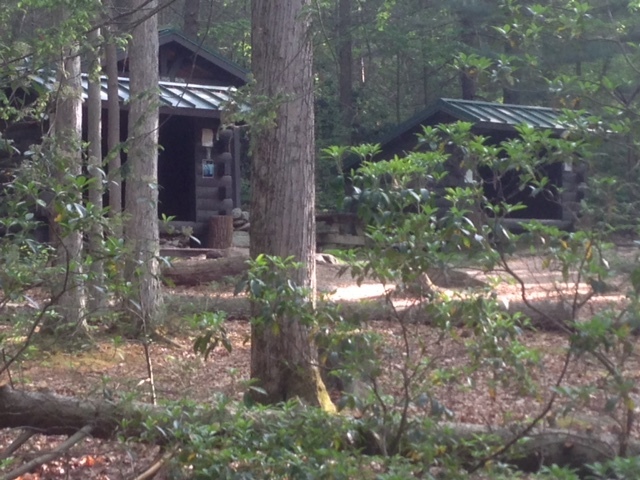 When we arrived, we were the only ones at Tumbling Run Shelters. It was a very nice camp, kept that way by George and his son, who soon arrived. George had been keeping the shelters and camp grounds clean for twenty years. Karen and I set up our tent close by the shelters and, perhaps, two hundred feet from a spring, where cold, clear water was available. George boasted that the water was just as clean as at Antietam. One does, however, have to be sure-footed to cross the current of Tumbling Run and reach the spring. I didn’t risk it more than twice. Monday morning, proceeding north, we began our hike with a mile ascent, which proved to be the toughest part of the day’s walk. 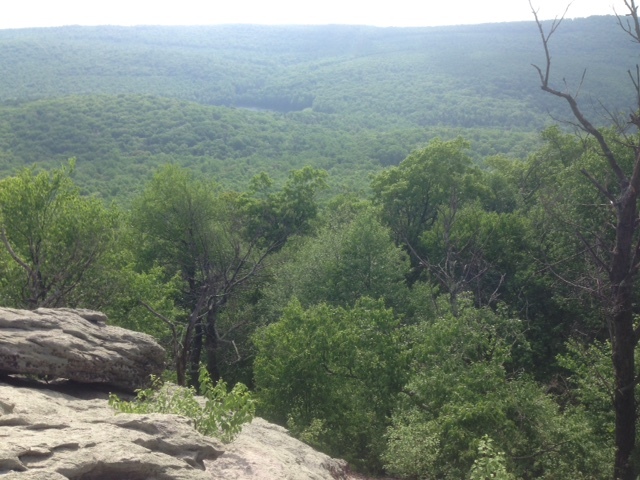 At the peak, we paused for the view at Chimney Rocks. We stopped for lunch at the merger of the blue trail leading to Rocky Mountain Shelter. As we proceeded we found that we soon had to do some scrambling over big rocks. This wasn’t too tough, though it did slow us down. As we approached the end of our journey, Karen and I were taken by surprise by the charge of a wild turkey, a hen protecting her chicks. The turkey got to within about eight feet of us before it stopped its assault. We were prepared to use our hiking poles for defense, if necessary, but were very glad not to. The view from Chimney Rocks. 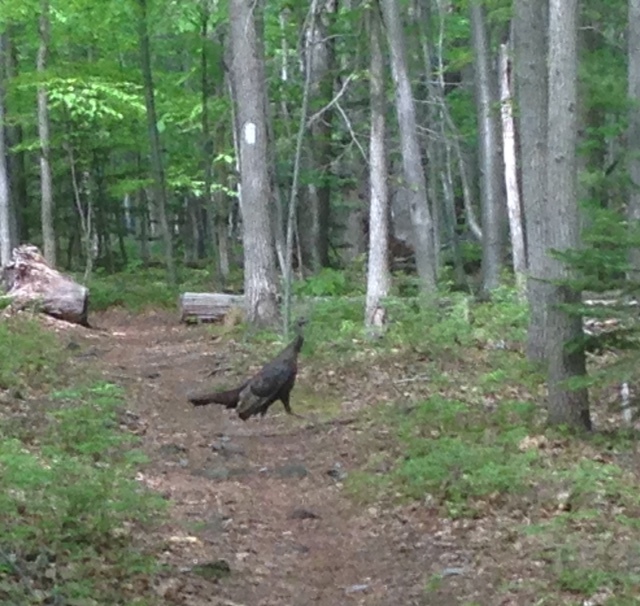 Wild Turkey on the War Path. 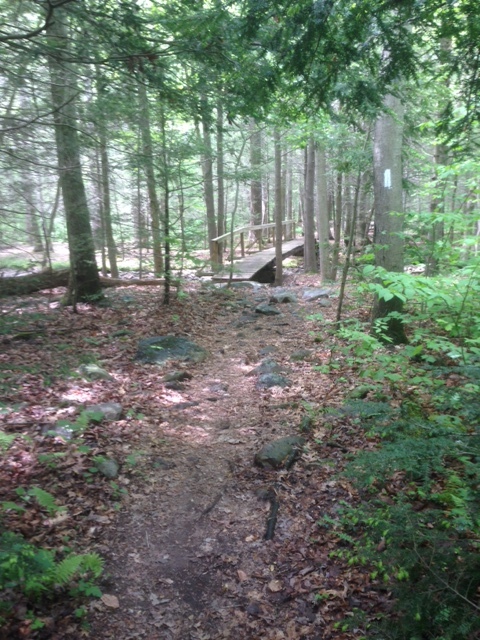 All-in-all, it was another wonderful experience upon the Appalachian Trail. This entry was posted in Birch's Jots on Jaunts, Pennsylvania Hikes by Birch. Bookmark the permalink.